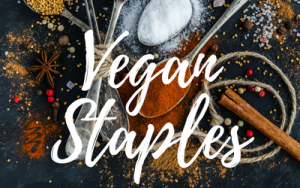 In this post, you'll find 9 tips on eating out as a vegan. I decided to ask some fellow vegan bloggers and youtubers what tips they would like to share on eating out as a vegan and here is what they told me! But why is this topic important? Well, eating out as a vegan can be tricky. I didn't wake up one day and became vegan. I transitioned slowly but gradually. Stopped eating meat, then cow's milk, then yogurt made from cow's milk, then eggs, then cheese. Actually, for a long time, I was cooking mostly plant-based food at home without me even noticing. 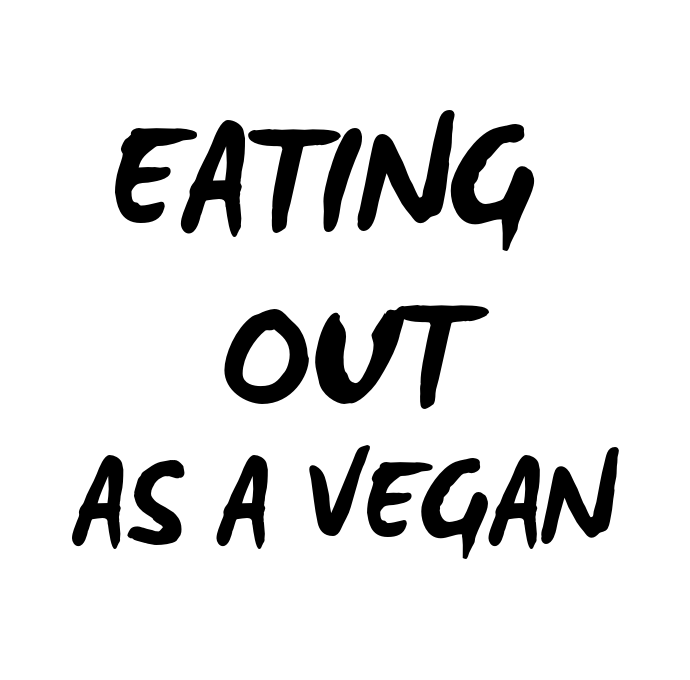 What stopped me from going completely vegan for a long time was eating out at restaurants. Whatever I ate at home I could control, so that was easy. What I ate out and about, was harder to control - or so I thought. I had to learn that I was wrong. Once I started to research more online, pay more attention to the menus and became more confident in my choice to eat vegan it wasn't difficult at all. Also I love the tip about checking the opening hours because it's probably the most annoying thing in the world when you find an awesome restaurant and go there just to find out it is closed. This happened to me in Madrid and I had to learn that there is such a thing as siesta in Spain. I love what Nele from Nutriplanet shared with me because she is taking the aspect of preparation to a new level. I totally agree! Also, you could eat a little snack or some veggies before you go out for lunch/dinner. This way, you're not completely stuffed but if they don't have that many vegan options that are satisfying that is also not a problem. When you're going out to eat in a different country, it can even be a little bit trickier. I love what Rhian from Rhian's Recipes shared with me and I can say from experience it is such a valuable tip! Before I travel somewhere I don't know the language, I always make a little cheat sheet with the most useful words and phrases. I can relate so much to what my friend Chloe from @bakedbyclo told me. Even if you do a little research before and don't end up going there, it is always a good idea to have options available and know where you can go. As another introvert, I can totally understand what Chelsea (@plantpoweredteen) told me. Yes, asking for vegan options can be scary and make you feel like you're always asking for special treatment. But I think that as long as you stay polite, there is nothing wrong with it. I once was at a hotel in Madrid where they had buffet-style dinner and asked the chef if the pasta was vegan. Unfortunately it wasn't but they offered to cook a small plate of pasta with tomato sauce just for me. Sometimes, the kindness you experience when you kindly ask for something amazes me! I love that one! And that was exactly what I did when I went to a steakhouse with my friends a year ago. Steakhouse doesn't sound like the vegan-friendliest place and trust me, it isn't. But they had great sides and I enjoyed a really nice meal with fries, a lot of grilled vegetables and a salad from the salad bar. 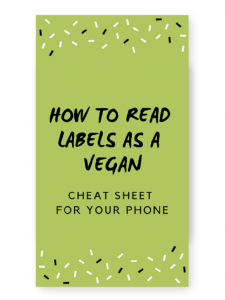 Luckily, more and more restaurants are seeing the benefit in labeling things as explicitly vegetarian or vegan. But if they are not, it is better to ask if you're unsure. Let's close this off with two more awesome ideas on how you can get creative. Because in the end, eating out is about spending time with friends and enjoying the moment! Do you like going out to eat or do you rather cook for yourself and enjoy your food at home? While I LOVE cooking, I also enjoy going out for dinner once in a while - especially since there are more and more amazing vegan restaurants and vegan options to try! I'd love to hear your thoughts and tips on this!